Using zoom ratios seems to be the new way to sell cameras where once it was all about the megapixels. 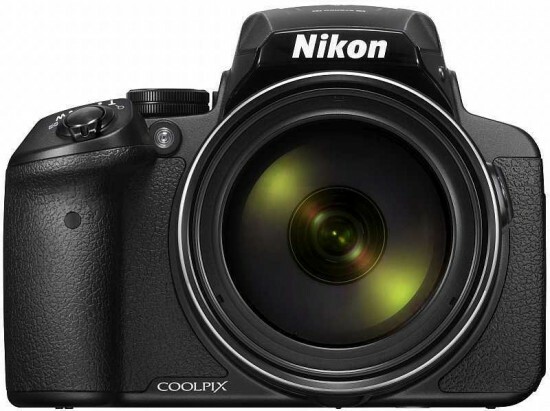 Here on the Nikon Coolpix P900 we have an 83x optical zoom, which is currently the market leader. However, to get to that kind of ratio, you need to have a huge camera and that won’t be to everybody’s tastes. It’s great to have full manual control available here, but it’s a real shame not to include raw format shooting on a camera at this price point and the intended audience - especially when you consider that the Canon PowerShot SX60, which sits at the top of Canon’s line-up, does include the ability to shoot in raw format. Once you’re over exactly how big the Nikon Coolpix P900 is, using it is pretty straightforward and natural with a good range of dials and buttons. The camera’s grip could do with being a little bigger though, to compensate for the size of the lens. This is not a camera for those who like to remain anonymous. With the zoom lens extended to its full reach, you may find some people giving it quite a good stare. It’s also roughly the same overall size as a standard DSLR so it’s not something you can slip into a small bag. The amount of people who need such an extensive zoom range is probably limited. However, if you’re travelling on safari, are into wildlife photography, or perhaps just like the look and feel of a DSLR camera but don’t want to lug around a set of lenses to go with it, the Nikon Coolpix P900 could be a good choice for you. Images are good, but it’s best if you can stick to bright light conditions - something which could be the case if you’re using it as a holiday camera. The screen is also great, although while it’s nice to have an articulating screen, it would be even nicer if it was touch sensitive. Overall the Nikon Coolpix P900 is a capable camera, which perhaps has quite a niche audience - if zoom is your thing, it’s definitely worth a look. At the moment, it’s quite an expensive proposition - costing more on its own than some standard entry-level DSLRs. However, it’s worth remembering that in order to get the same focal lengths, you’d have to invest a lot of money in extra optics.